Ever experience one of those days where you can’t find your car keys? How embarrassed have you felt when someone greets you and you can’t remember their name? Memory lapses happen to everybody at one time or another. Forgetting things seems to be a part of the human experience. The good news is you don’t have to live with a bad memory. Floating offers a great solution for memory enhancement. How can floating make you remember things better? The simple answer is that nothing awakens your entire mind faster than floating in your own isolation tank. The entire float tank experience is designed to let you shut out the outside world and delve into your subconscious. Once inside the tank, you feel a gradual change. Your brain waves shift to lower frequency Alpha, Theta and Delta waves. All of the noise stops inside your head and, for the first time in a long time, you feel true mental clarity. Floating gives the left side and right side of your brain a chance to work in harmony. During your floating session, you experience improved circulation in your body. This means your brain gets the blood and oxygen flow it needs to function at a higher level. In essence, floating builds a better memory because it helps your brain to operate more efficiently. You learn to drown out the noise and retain what is important. This can be helpful as you age, as an active mind is more resistant to developing age-related brain diseases. If you’re worried about forgetting important things like your spouse’s anniversary or what happened to the remote control, floating can help solve those memory issues for good. When Hollywood gets the chance to portray real world things, it always takes ample creative license. You can pick out a dozen random topics and discover how these things are shown on screen don’t always mesh with real life experience. This is especially true with floating and isolation tanks. TV shows and movies are quick to take floating and shroud it in mystery, danger and fantasy. “The Pretender,” a TV series which aired from 1996 to 2000, offers a good example of this trend. An episode from the second season, titled Over the Edge, deals with the impact of an isolation tank on the series’ main character Jarod – played by Michael T. Weiss. Jarod helps reunite an estranged mother and son. This plot device serves as a jumping off point for Jarod in his efforts to reconnect with his own long lost mother. 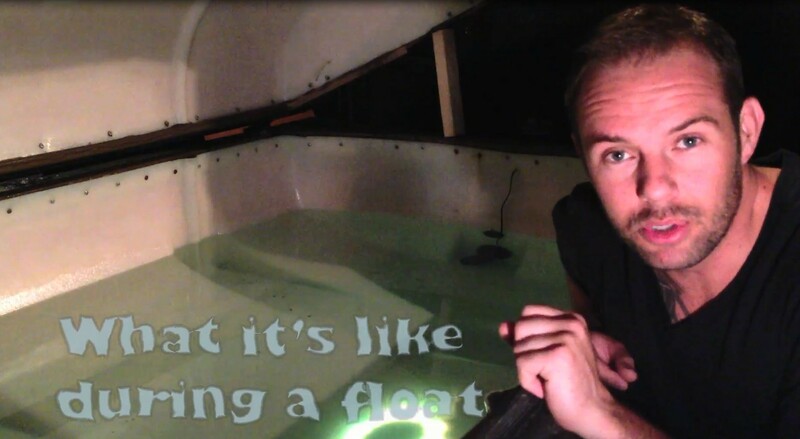 Jarod uses an isolation tank to revisit his past experiences with floating. The audience witnesses flashbacks where a younger Jarod is compelled to float inside an isolation tank as a relaxation tool. He is forced to float so he can be used for scientific experiments conducted by a shadowy group known only as The Centre. Young Jarod’s time inside the isolation tank produces hallucinations of his mother. He attempts to connect physically with these hallucinations. Since Jarod was kidnapped and used for experimentation from a young age, he cannot even remember hugging his mother and longs to feel her touch. The tank offers a chance at the physical contact Jarod craves in the form of hallucinations. In there, he can touch his mother and speak to her once more. Young Jarod enjoys floating in the tank. There, he can enjoy a taste of freedom away from his kidnappers. Floating is portrayed in a positive light on “The Pretender.” Jarod uses floating as a relaxation tool at different points in his life and he uses it to access memories as an adult. Still, “The Pretender” does bend reality as it relates to isolation tanks to suit its own purposes. Young Jarod frequently hallucinates inside the tank. Adult Jarod is shown using the tank for days at a time without taking a break – a practice that isn’t recommended or safe. One disturbing aspect is the role an isolation tank plays in scientific experimentation. Young Jared is forced to float as a method of relaxation, so he is refreshed enough to be experimented on by his captors. Real isolation tanks are not used for such diabolical purposes. Real-life floating is an experience designed to improve your life. It creates an environment where stress and pain melt away. Floating is the perfect way to recharge your internal batteries when the pressures associated with work, school, family and daily life wear you down. Hollywood once again fails to pass the reality test with floating in “The Pretender.” Isolation tanks need no embellishment. The effects and realities of what it can do are better than fiction. Isolation tanks are guaranteed make you crazy, reckless, violent and eventually break down your genetic material. That’s the philosophy put forth by Altered States. The 1980 film stars William Hurt as Eddie Jessup, who studies and experiments with different states of consciousness using an isolation tank. At first these floating sessions only produce hallucinations. Over time, and with the aid of hallucinatory drugs, Jessup experiences escalating side effects from the hours he spends inside the isolation tank. He begins to experience altered states of consciousness both inside and outside the tank. It starts with waking hallucinations and eventually turns into physical manifestations of his altered states of consciousness. Jessop undergoes genetic regression at the same time as a direct result of his floating sessions in the tank. First, he regresses to a sub-human hominid and then finally morphs into an unborn state of cellular ooze. At this point, Jessop barely survives his final session in the isolation tank. Even after being rescued from the isolation tank, he still experiences the waking hallucinations that plagued him before. He is only saved from his hallucinations and ultimately cured by the love and support of his wife. This film of course is a completely fictional account, but Hollywood gets isolation tanks all wrong. Isolation tanks do not have the negative and horrific impact that movies like Altered States want you to believe. Far from creating dangerous hallucinations, floating actually helps clear a cloudy mind and increase focus. Floating eases pain and aids in recovery from injuries. It frees the body and mind from the stress and trials of daily living. Floating is neither a calm nor tranquil experience for Jessup. He finds himself in a waking nightmare from his time in the tank. This is just nonsense. Floating in an isolation tank will not cause people violently hallucinate outside of it. Jessup experiences a physical change that breaks his body down and erases his humanity. The physical changes found using an isolation tank are positive. Salt water offers benefits to the human body and floating relaxes muscles. The weightless of floating eases stress on joints. Floating is one of the best ways to relax body, mind and spirit. If you are want to enjoy some rather strange entertainment on a Friday night, Altered States may be your answer. If you want a true depiction of floating, look elsewhere. The ideas presented here are foreign to anyone who spends time in an isolation tank. After a handful of floats the surface of your water will probably have some residue, it’s just skin oils so no big deal. You’ll need to use a skimmer to clean it. This is the easy way, just pick up this skimmer on amazon and you’ll have it working in seconds. Check out the video. I’ve been cleaning up my water after the construction. Big Job. It’s no secret that floating inside an isolation tank makes you feel better. Can spending time there also make you look better? The simple answer is yes. Floating can be a fountain of youth. It works better than applying facial masks and creams to recapture a younger and healthier looking face. Stress can age a person prematurely. The tension it creates in the muscles and joints doesn’t just result in stiffness and pain. It can also cause facial muscles to tighten and wrinkles to form on the forehead and around the eyes. Only a short time passes before stress takes a visible toll. The skin’s surface is covered with wrinkles. Visible aging only adds to stress. This in turn increases aging. It all turns into a vicious cycle that becomes nearly impossible to break. Floating in a float tank is the best antidote to stress and premature aging. The tranquility inside the tank relaxes the tightened facial muscles. It doesn’t take long before the skin looks and feels smooth again. People can take several years off their appearance after a few sessions. They feel more attractive and are much more energetic. This leads to increased confidence and makes it tougher for stress to come back and attack again. Beauty may only be skin deep. Still, there’s nothing wrong with making your skin look as good as you want it to look. Floating is a good tool for realizing that goal. Wow, it’s good to be back floating! Between redesigning my tank and the new tank project I’m working on… it’s been BUSY. I’ve battled anxiety for years and these two supplements honestly help me in an instant. Maybe it’s placebo but who care’s if it works! lol Let me know if they work for you. Nothing can ruin the mood of floating in an isolation tank faster than feeling cold. It becomes difficult to lose yourself in the moment if your teeth are chattering from the water temperature. 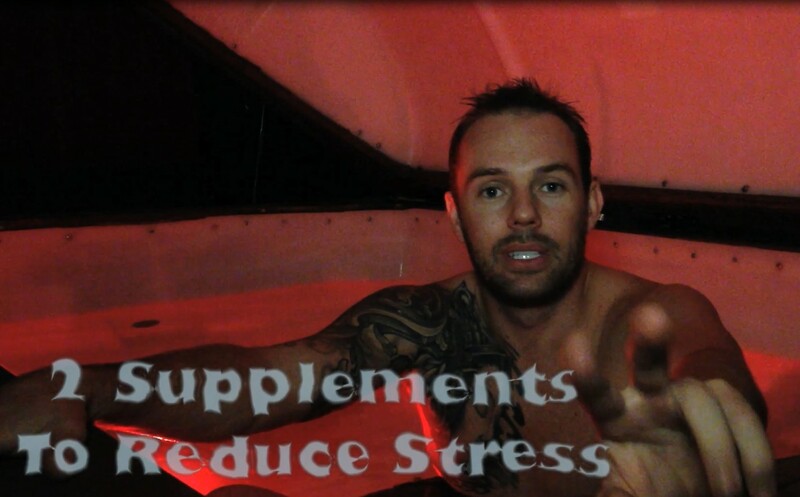 Properly heating your float tank can solve that problem. You have a pair of options in heating your tank. One option is a in-line heating system that incorporates circulation heaters. The second option is installing heating elements directly underneath the tank. In-line heating systems rapidly raise the water temperature and are efficient in keeping the temperature constant. The only drawback is that these systems can only be run between float sessions because the water must be pumped into heating system and circulated through it before being released into the tank. It limits the amount of time a person can float inside the tank since the water temperature naturally decreases in increments after being heated. In-line systems are best used for floating sessions lasting less than two hours. Placing a heating element below the tank makes it easier to do floating sessions that last several hours. The heating element will keep the water temperature constant for hours at a time. It is also a less efficient heating method. The heat dissipates through the shell of the float tank instead of heating the water directly. That means a substantial amount of heat is lost in the process. In-line heating systems offer simpler maintenance than heating elements. They are located outside of the tank in the pump and can be changed or repaired without much trouble. Heating elements, on the other hand, typically require more intensive maintenance. The tanks must be drained and the shell lifted to access the element. It also can be prone to suffering damage from leaks being beneath the water. Both heating systems have their advantages and disadvantages. The one you choose ultimately depends on how much time you want to spend in the float tank. Spending extended amounts of time in a float tank can feel a little scary if you have never done it before. It isn’t hard to feel nervous when you aren’t sure what to expect. You can erase these fears by preparing before you go. One thing you can do is to simulate the floating experience at home. Find a room in your house or apartment where you can block out all sunlight and indoor lights. Lie flat on a bed and put on headphones to block the sound. Remain motionless for at least five minutes. If you feel more relaxed when finished with your five minute test, floating might be something you will enjoy. You will be ready to indulge in an experience that offers great benefits to your mind and body. During your first time inside an isolation tank, spend a minute finding a comfortable position. Avoid touching the sides of the tank and avoid sudden movements that will cause you to drift. Do not touch your eyes or your face. You can inadvertently splash salt water in your eyes and cause them to burn. Avoid opening your eyes at all while floating. Spend a little bit of time intentionally relaxing your muscles right at first. You don’t want to spend too much time on doing it, but this will help you work through any tense feelings you might feel on your initial journey inside the tank. It won’t take long before you realize there’s nothing to fear when you float. This is an experience anyone can enjoy and everyone should try at least once in their lifetime.